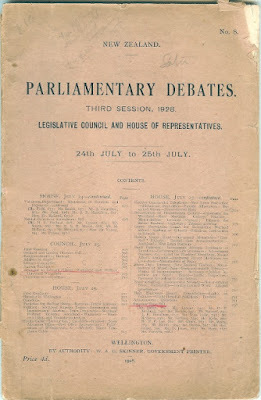 Although important sources of New Zealand historical information such as the Appendices to the Journals of the House of Representatives, newspapers, British Parliamentary Papers and other items have been available online for some time, until recently there was at least one important omission, New Zealand Parliamentary Debates. Brett (who was instrumental in the move), that the NZPDs for 1854 to 1968 have recently been scanned and are now available to view through the Hathi Trust digital library. See the catalogue entry for them here. 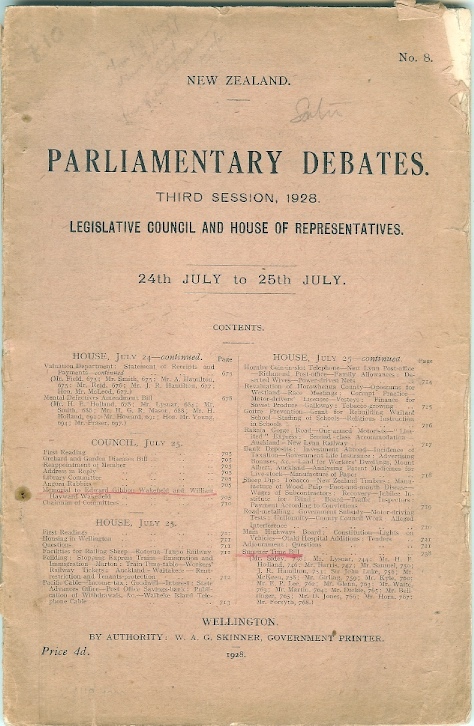 A fully searchable version on a New Zealand platform, such as the National Library website or DigitalNZ is the obvious next step (DigitalNZ link to the Hathi Trust holding of NZPDs on their own website). But for now this is a very welcome development in making important primary sources more accessible to a wider audience.